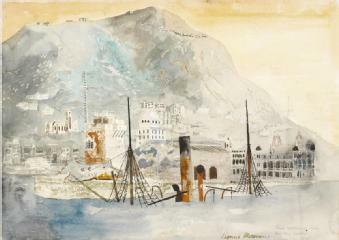 Stephen Davies: The water colour posted in the article, Leung Man Kwong (梁文廣) – clearance of HK harbour post WW2 and founder of Universal Dockyards, is fascinating. Given the angle of the photo, with what looks like the naval dockyard on the left and the HK Club area on the right, I think it is the unnamed freighter, sunk on naval anchorage buoy No.8, that nearly sat on the main freshwater pipeline to HK Island and had to be salvaged intact. The job took something like a year because the wreck had to be cut into three sections, each section rotated to line up with the tidal flow, then lifted between pontoons and towed to Yau Tong/Lei Yue Mun for breaking up. 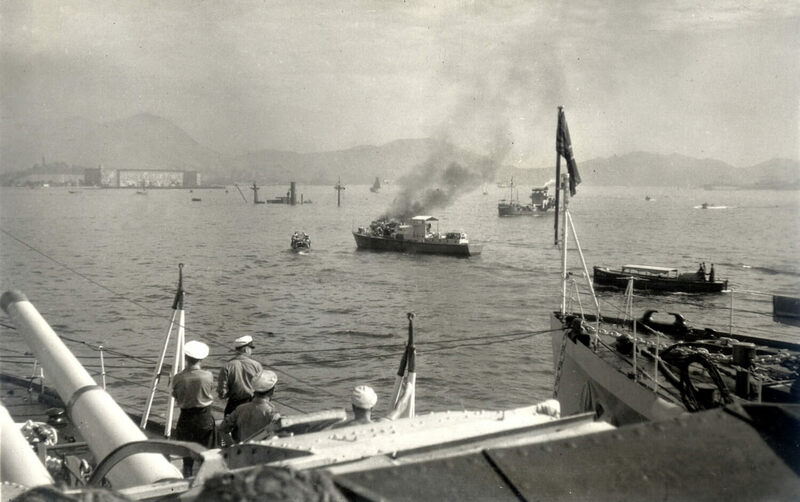 It appears in a dramatic photo of a naval picket boat with an engine room fire. 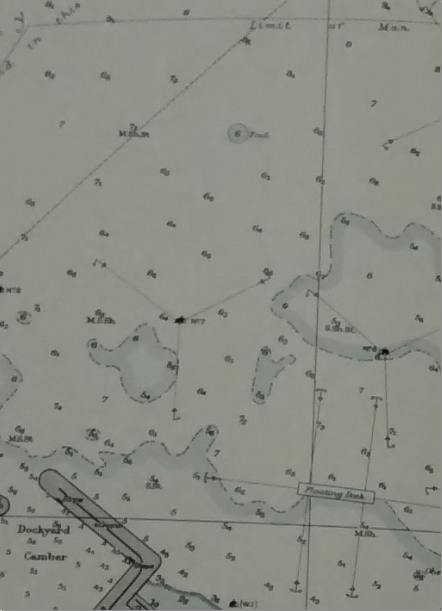 A snippet from the Royal Navy’s 1945 emergency chart locating all the wrecks in the Central harbour shows the wreck. IDJ: The two images below appear to be the same vessel. SD: As far as I know the wreck in the photos was completely removed by 1948 and probably early 1948. 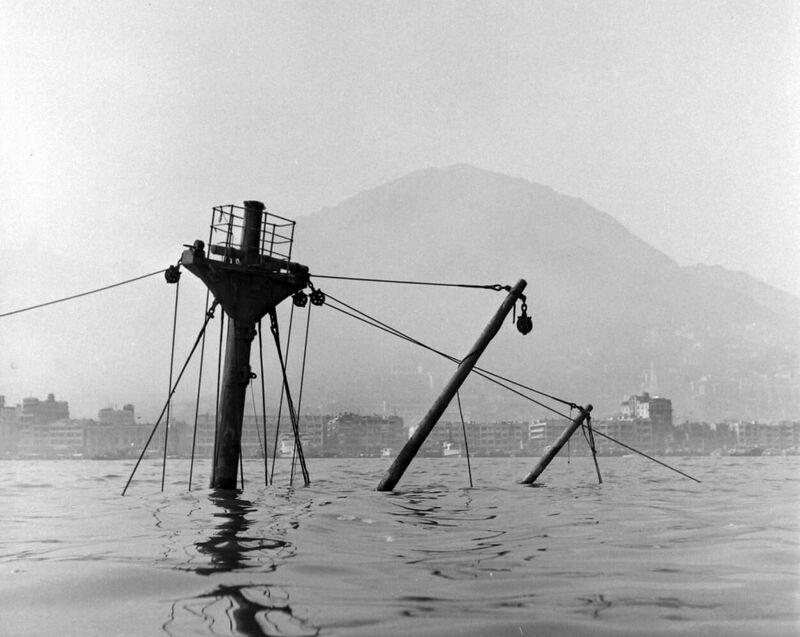 Since it sat too close to the main fresh water supply to be comfortable, shifting it lock, stock and barrel was a major priority, and it is what took the bulk of the small RN salvage team’s energy in 1946-47. 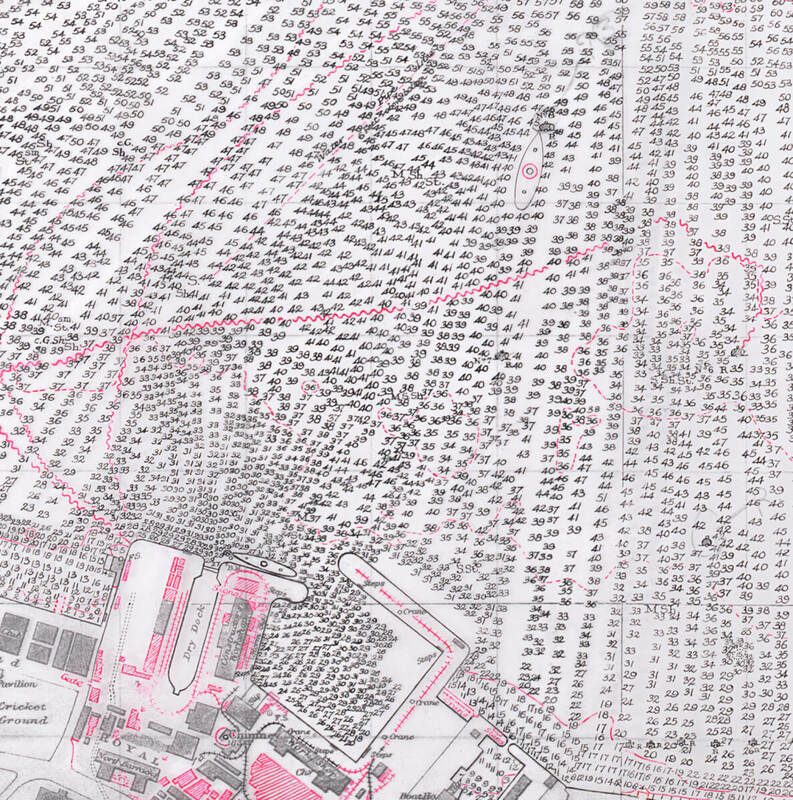 This is the state of affairs as recognised by the UKHO in their emergency issue of updated charts in September 1949. You can see that by this point all that remains of the wreck is a small patch with a least depth of 6 fathoms (10.97m) marked ‘Foul’ (centre top). This means that there is something on the bottom that would cause problems for any ship trying to anchor there – could be a big lump of metal, could be (and most likely was) a debris field of bits and bobs left over from the salvage operation. The ship in the photo is ex China Navigation’s Chekiang. 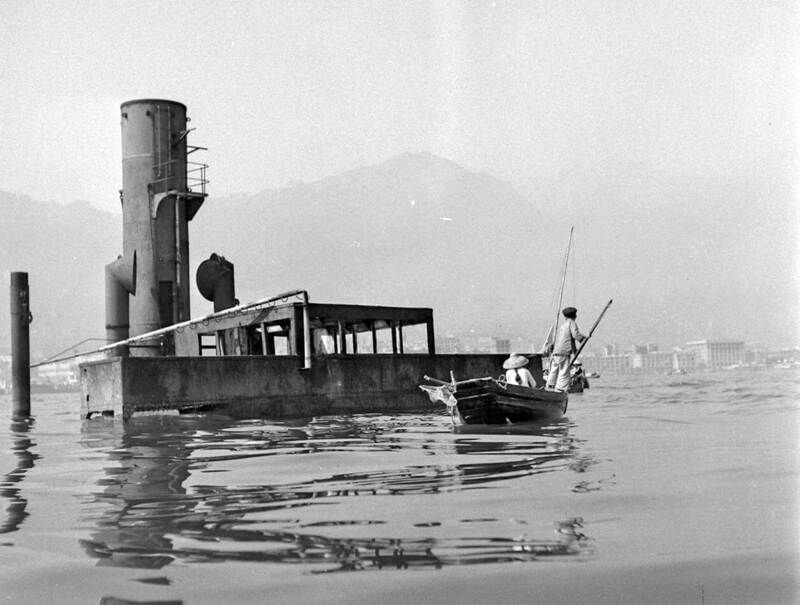 This ship was seized in the Whangpu River, Shanghai and renamed Sekko Maru (this being the Japanese rendition of the Chinese characters for Chekiang). On 16 Jan 1945 the ship was bombed and sunk by US carrier aircraft but then salvaged and renamed Shozan Maru before being again bombed and sunk at Hong Kong on 3 April 1945. The ship was built in 1914 by Taikoo Dockyard and was 2171 gross tons.